Cape Breton Regional Police Chief Peter McIsaac says he expects to see more traffic collisions, injuries and even death after marijuana becomes legal in Canada next summer due to drug-impaired driving. Cape Breton Regional Police Chief Peter McIsaac says he expects to see more traffic collisions, injuries and even death due to drug-impaired driving after marijuana becomes legal in Canada next summer. Speaking to the CBRM Board of Police Commissioners on Tuesday, McIsaac said his prediction is based on the experience in the U.S. states where pot has already been legalized. "We know from what we've seen and heard with the Colorado and Washington experiences that we will expect a significant increase in the number of driving offences once cannabis becomes legal," he said. "From a policing perspective, I have no doubt that our workload will increase exponentially in response — not only in volume but also in complexity and time." The federal government introduced legislation in April to legalize marijuana by July 2018, but left it to the provinces to decide distribution and usage regulations. 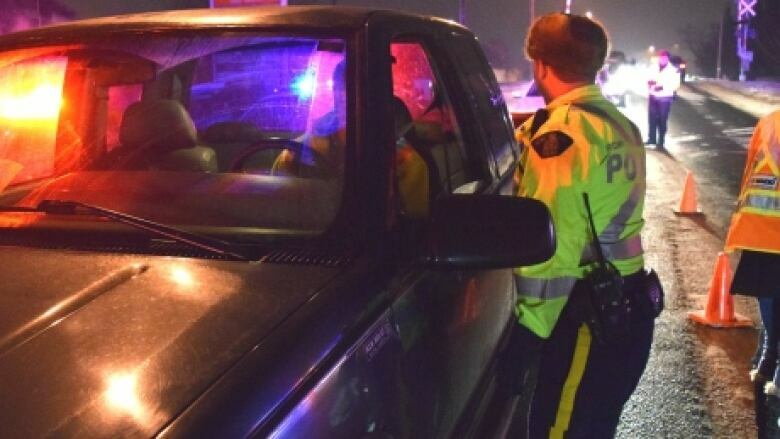 A draft of the federal government's planned drug concentration levels also fails to provide guidance on how much marijuana it would take to push a driver over the legal limit. In Nova Scotia, the legal consumption age has been set at 19, people will be permitted up to 30 grams for personal consumption, and pot will be sold through certain Nova Scotia Liquor Corp. outlets and online. The Nova Scotia Justice Department has said there are plans to "update legislation and regulations to address the legalization of marijuana including the Motor Vehicle Act," but hasn't yet outlined when that might happen. McIsaac told the board Tuesday that impaired driving is his biggest concern. "We're charged with keeping our public safe, so I'm really hoping that they'll come out with some really good, definable, actually enforceable laws that are not too rigid, and things that make sense," he said. McIsaac told the board his department will need to buy new roadside screening devices and that all officers will need "drug recognition" training. "We have four or five drug-recognition officers within our police service now, and I tell you, it's a very cumbersome, very time-consuming process," he said. "There is a whole minutiae … that they have to go through to see if you are impaired by [marijuana]." A new marijuana roadside screening device has been tested in several cities including Halifax. It involves officers taking a mouth swab for analysis. The chief said the federal government's funding commitment for law enforcement support to deal with legalization will not be enough. "Eighty-one million dollars over five years may sound like a lot," he told the board. "But with all the considerations and the size of this country they need to spread it across, there will be an impact on municipal policing resources." According to Public Safety Canada, drug-impaired driving has been on the rise since police-reported data became available in 2009. Young people are the largest group of drivers who die in crashes and test positive for drugs, so Ottawa recently launched a $3-million public relations campaign aimed at dissuading young people from driving while high.